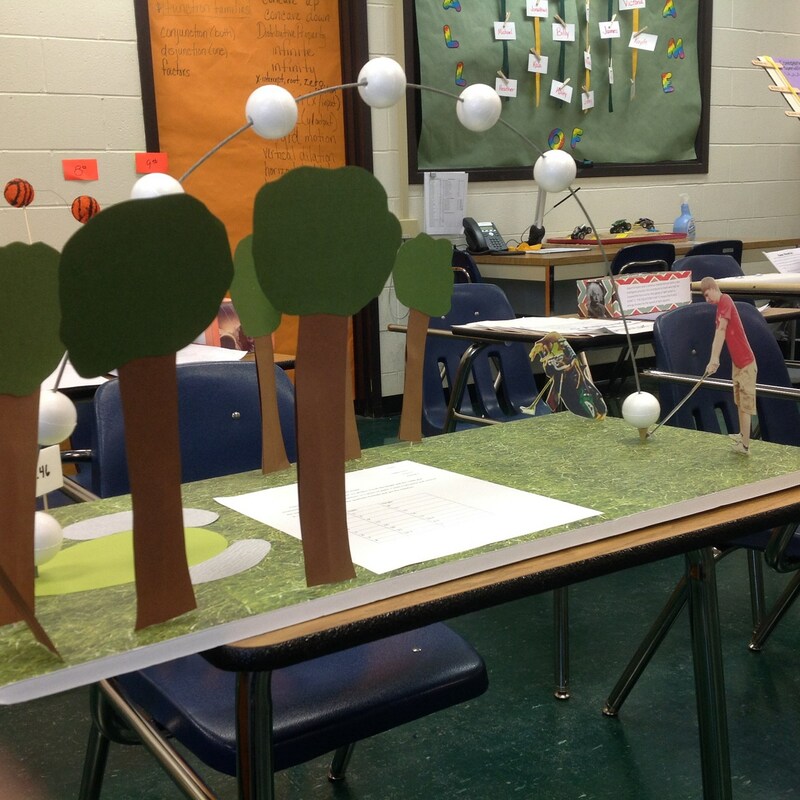 Algebra 1 and 2 students at Madison-Plains High School showed their creativity in creating their final projects for class. 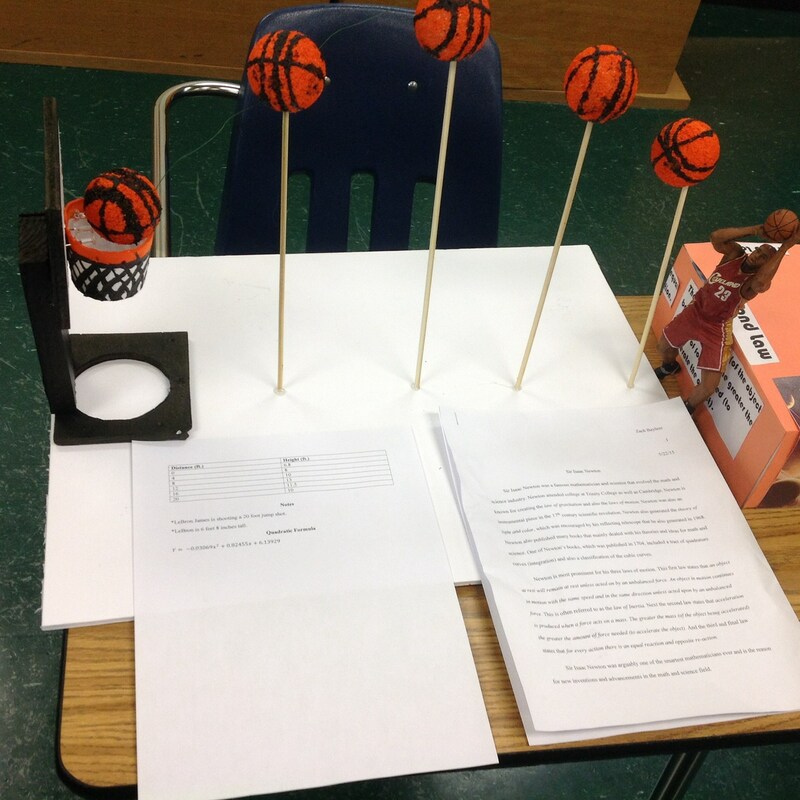 Some researched a company, team, or athlete and some made three-dimensional models of quadratics. 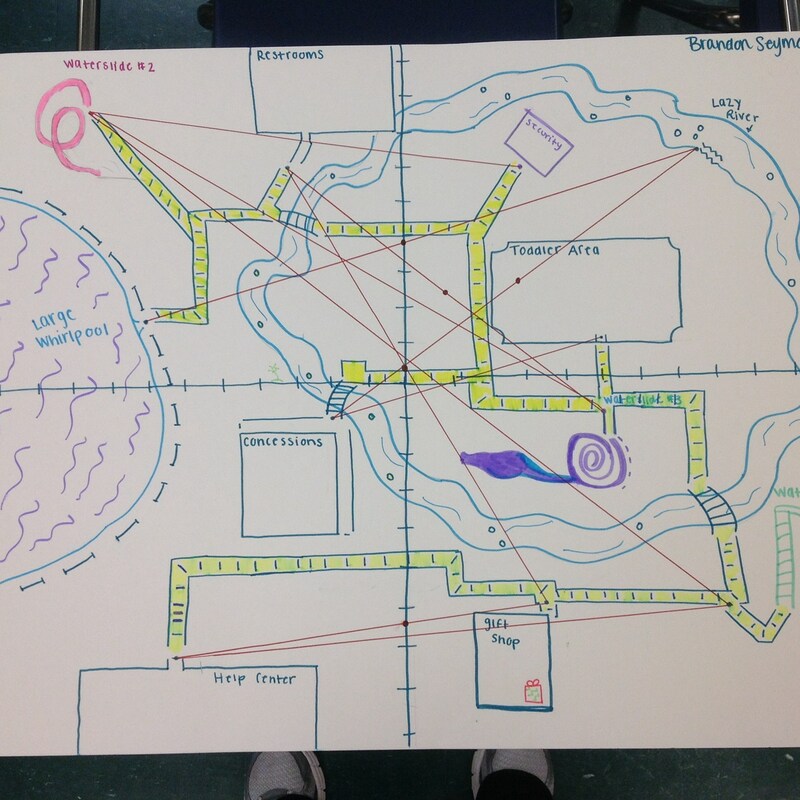 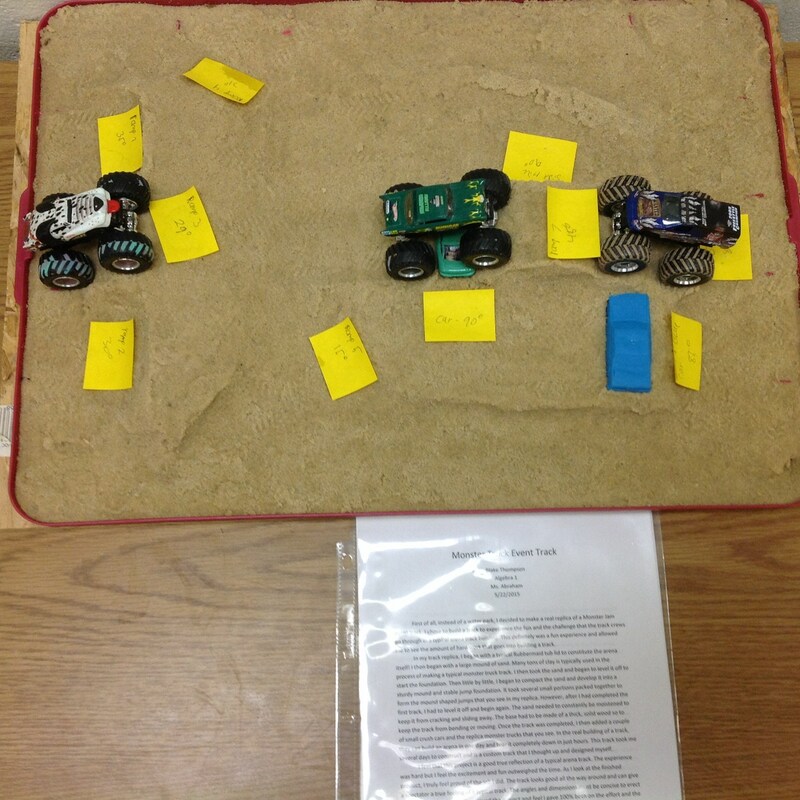 The algebra 2 classes did regression equations for their projects. 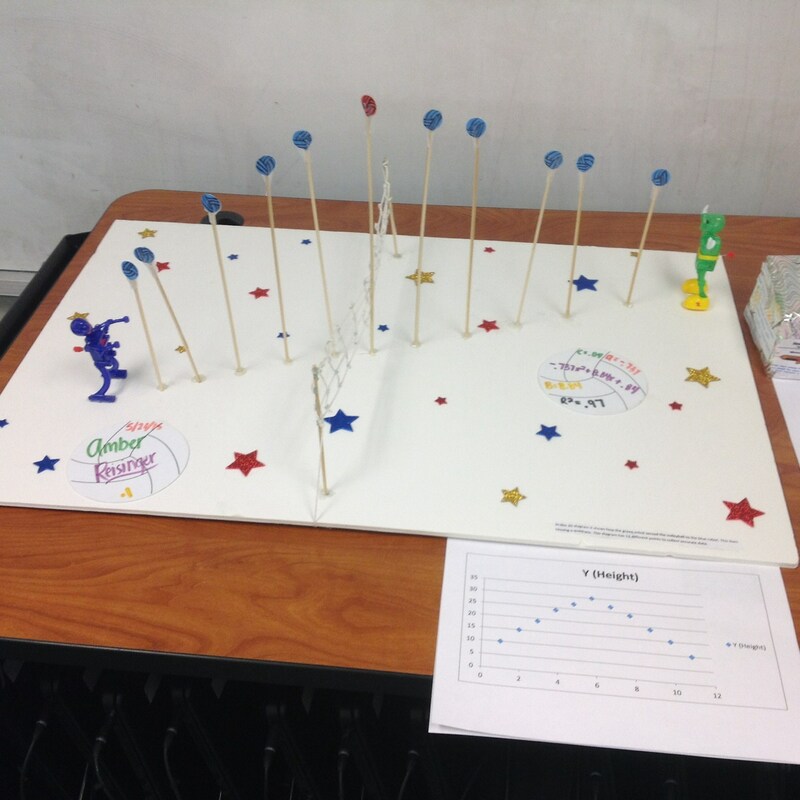 Algebra 1 used their graphs to make predictions. 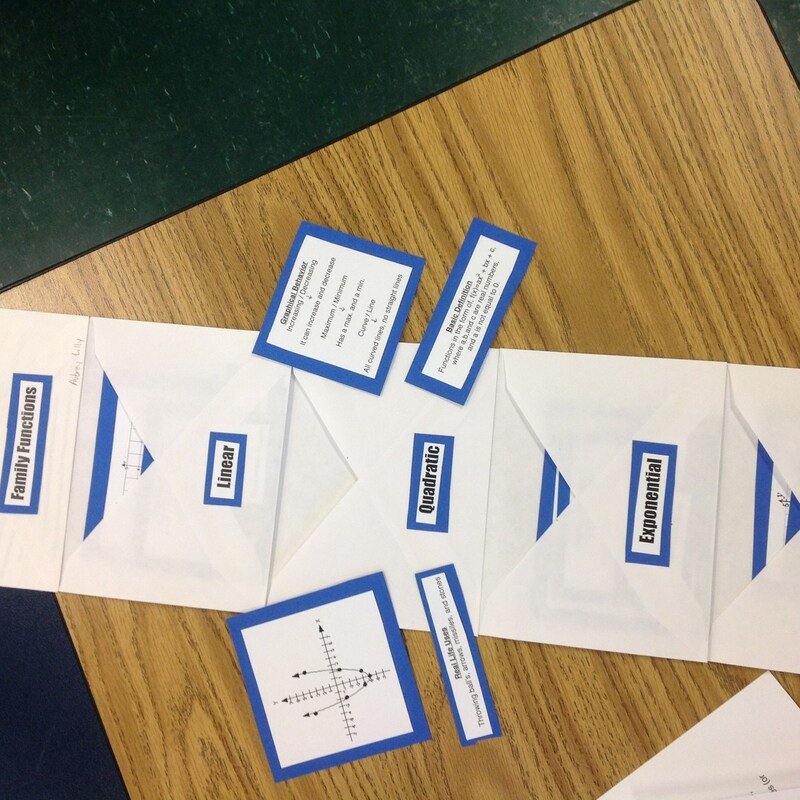 Several also researched and wrote a paper about a mathematician. 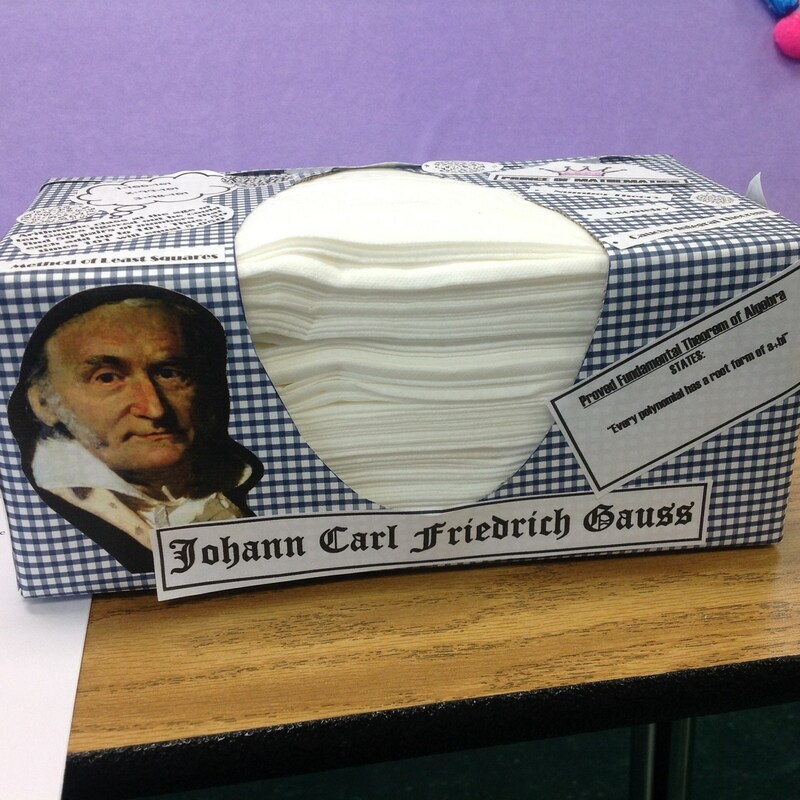 In addition, they decorated tissue boxes to illustrate the important facts about the mathematician and his contributions to math. 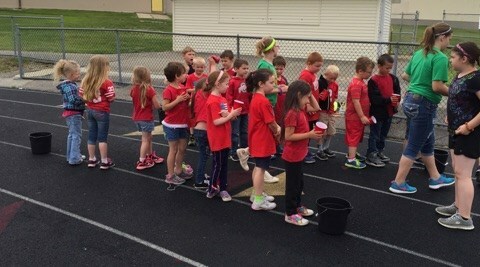 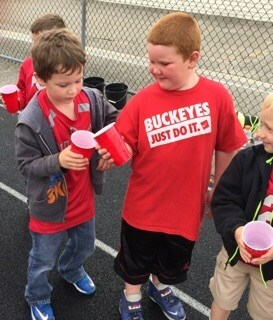 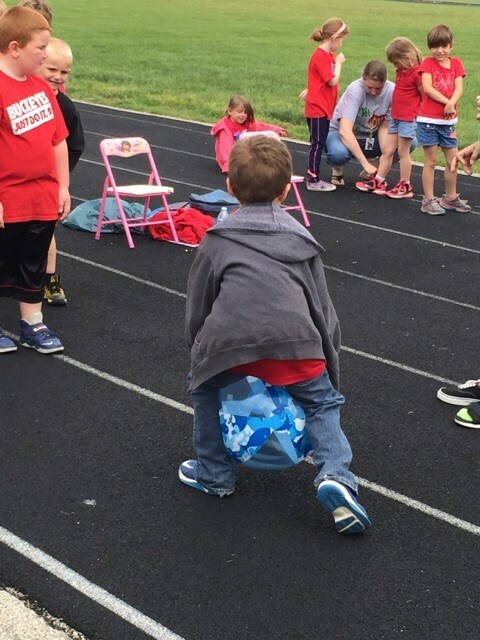 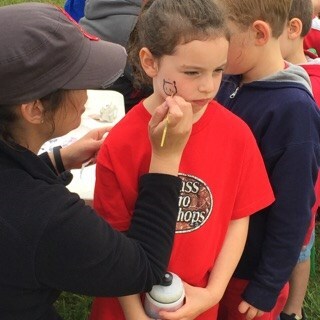 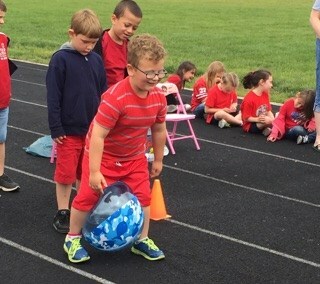 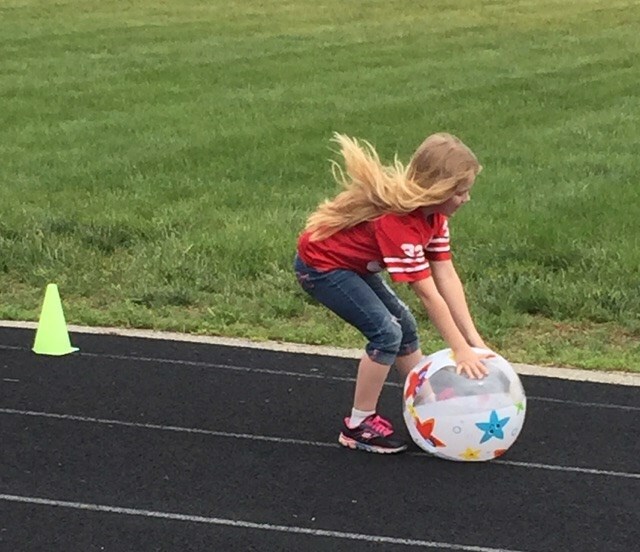 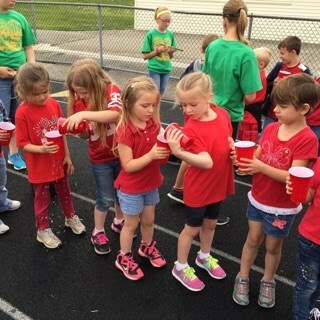 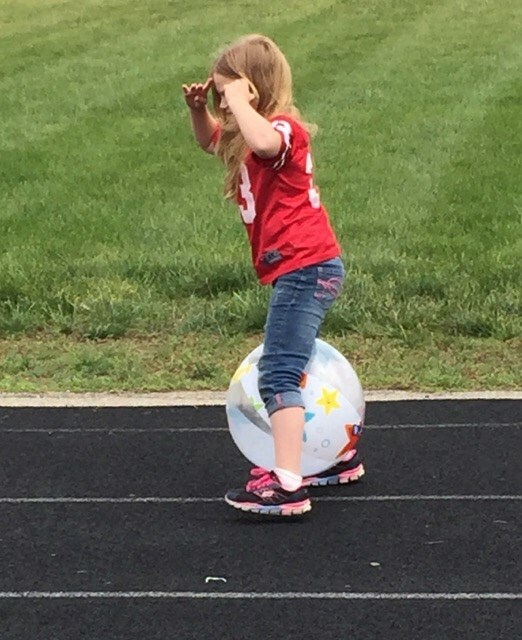 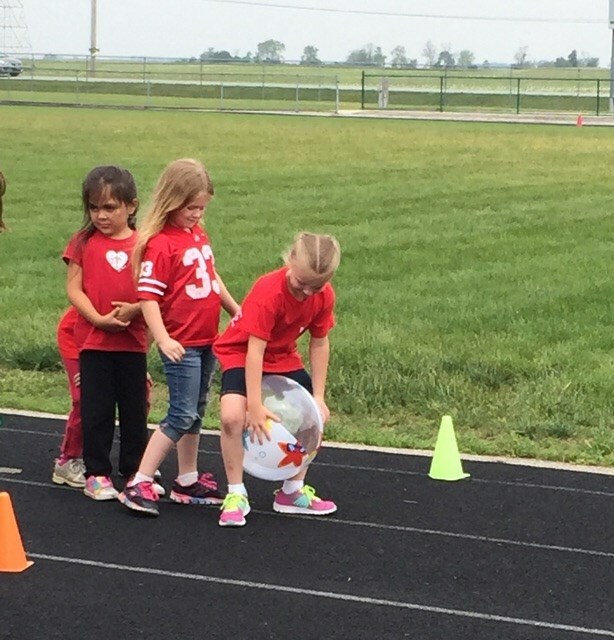 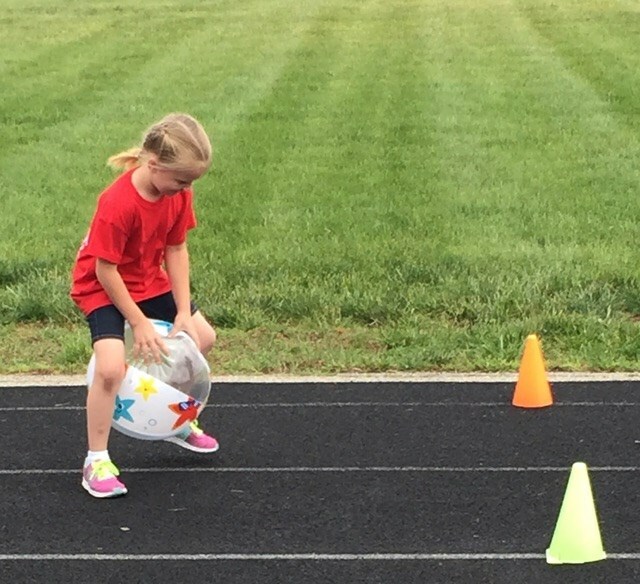 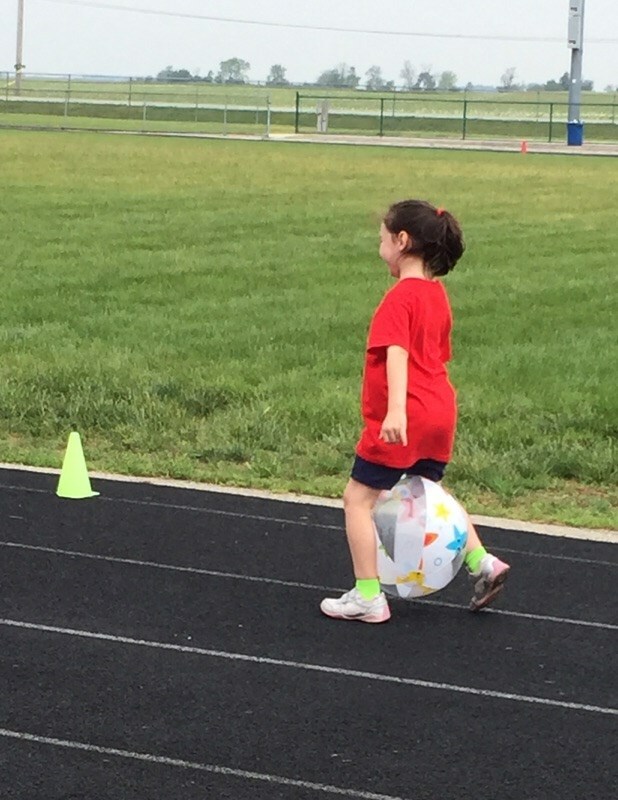 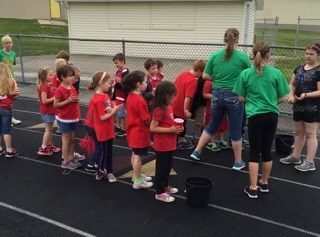 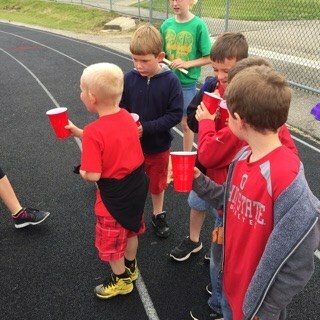 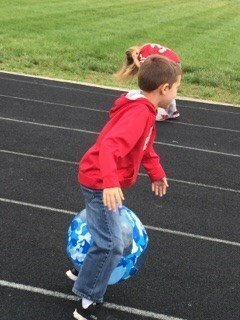 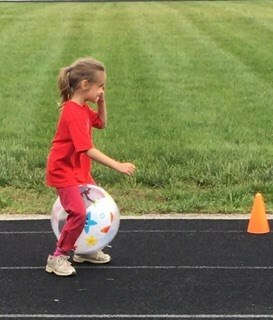 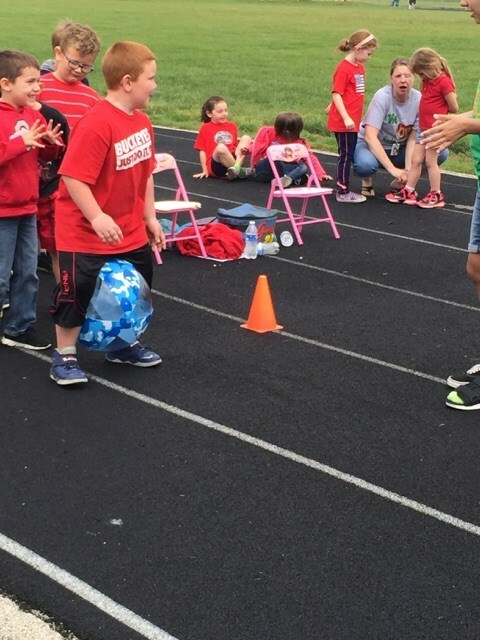 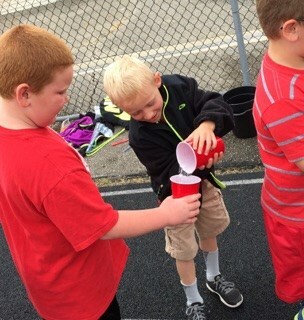 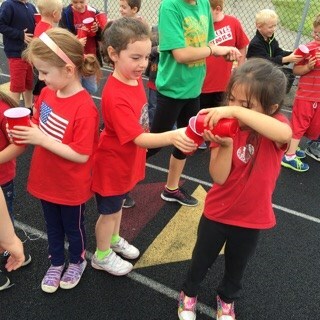 Madison-Plains Elementary students had a ball during their Field Day celebration, a time-honored event at the school. 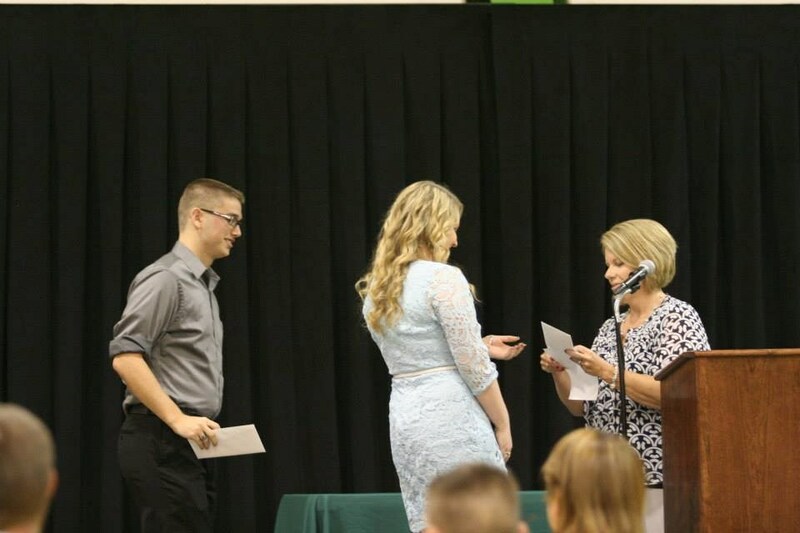 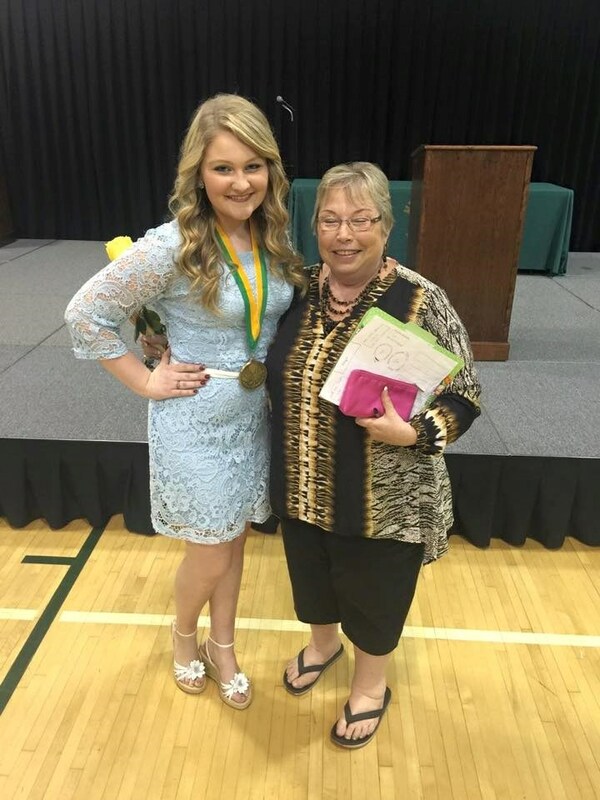 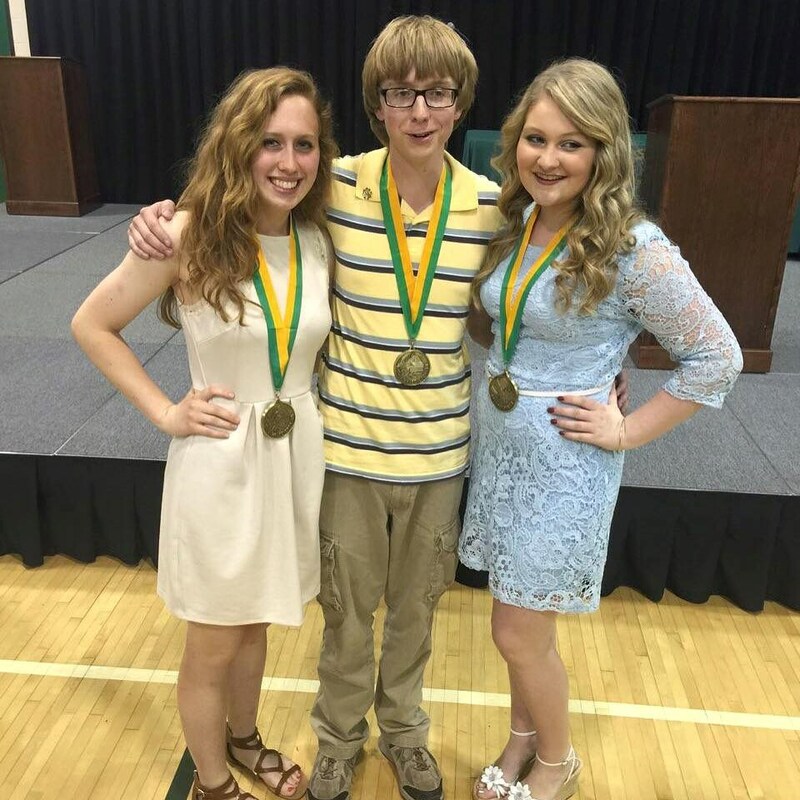 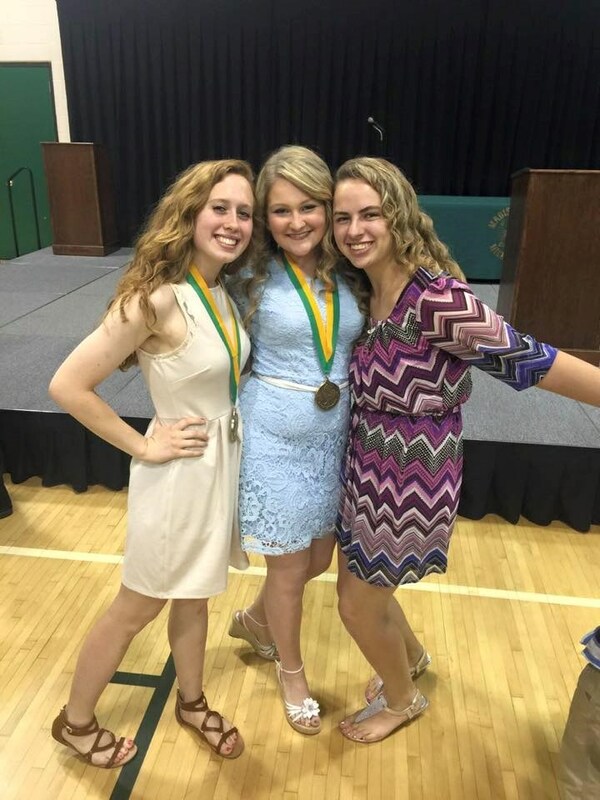 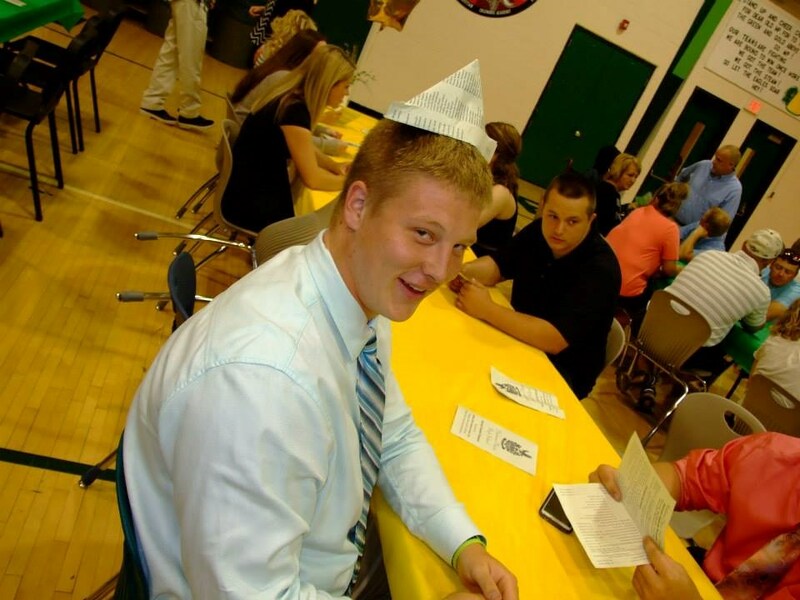 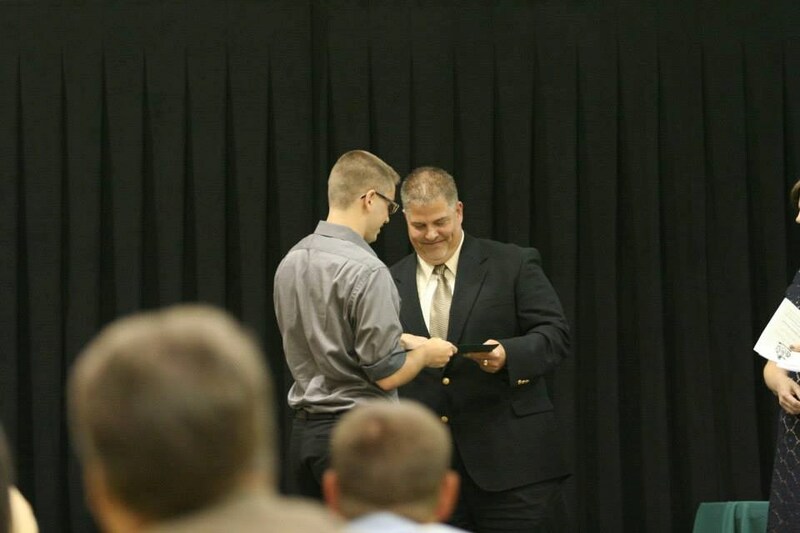 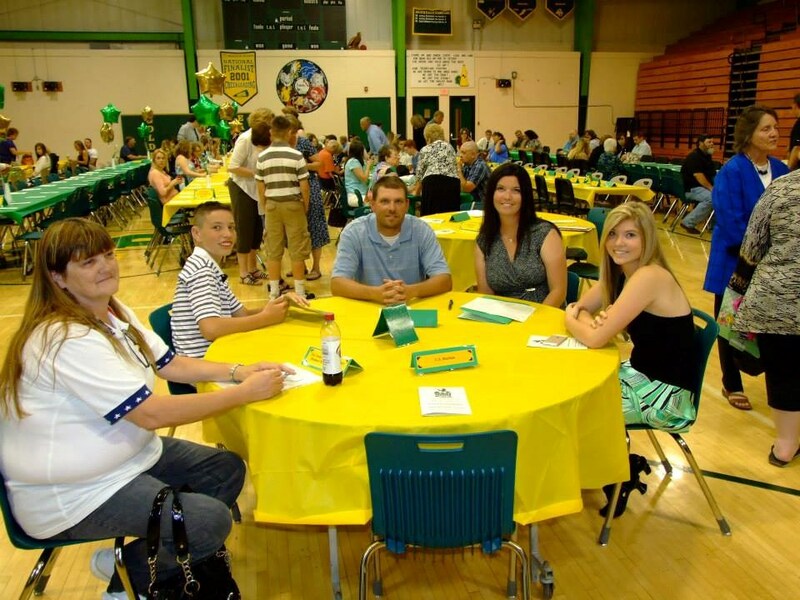 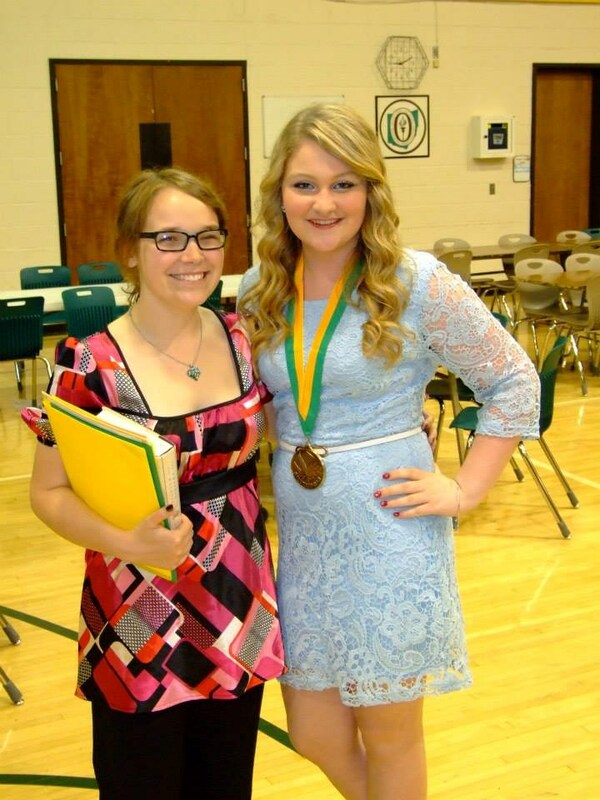 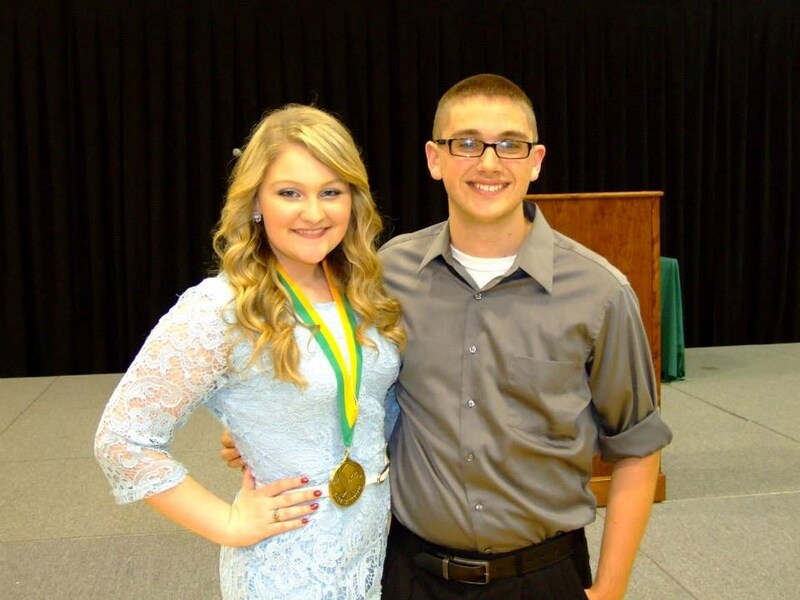 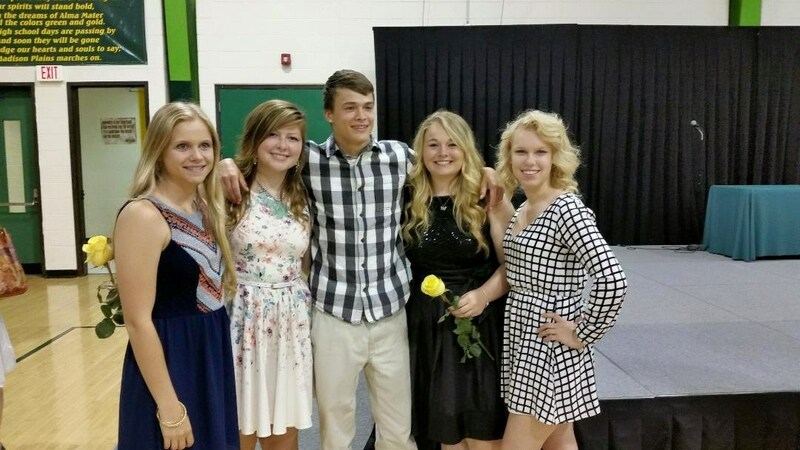 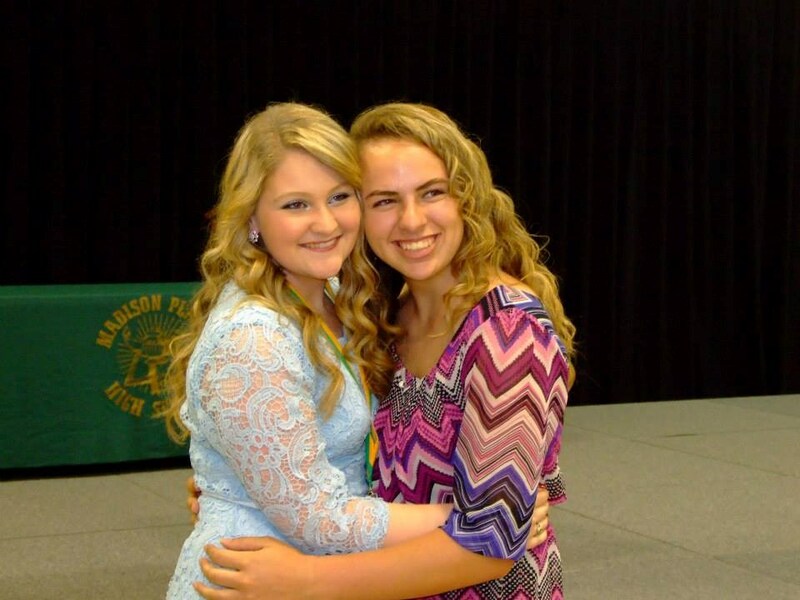 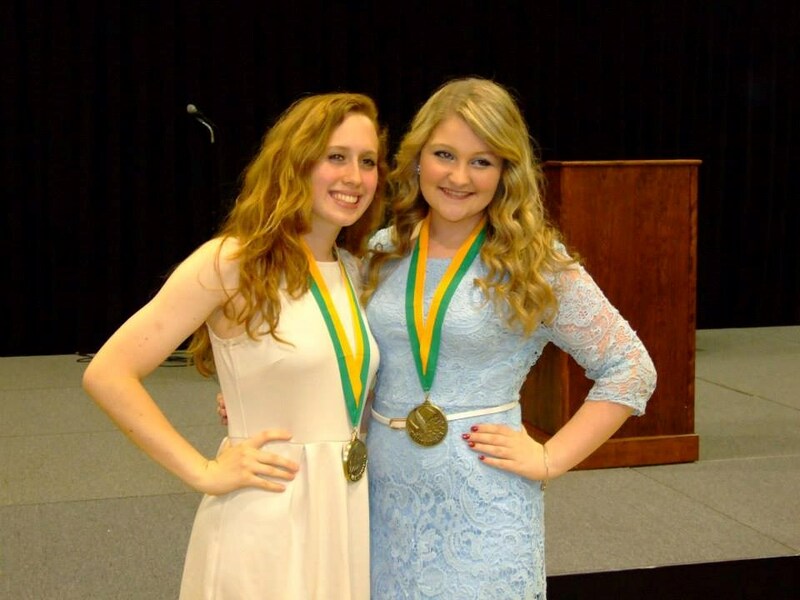 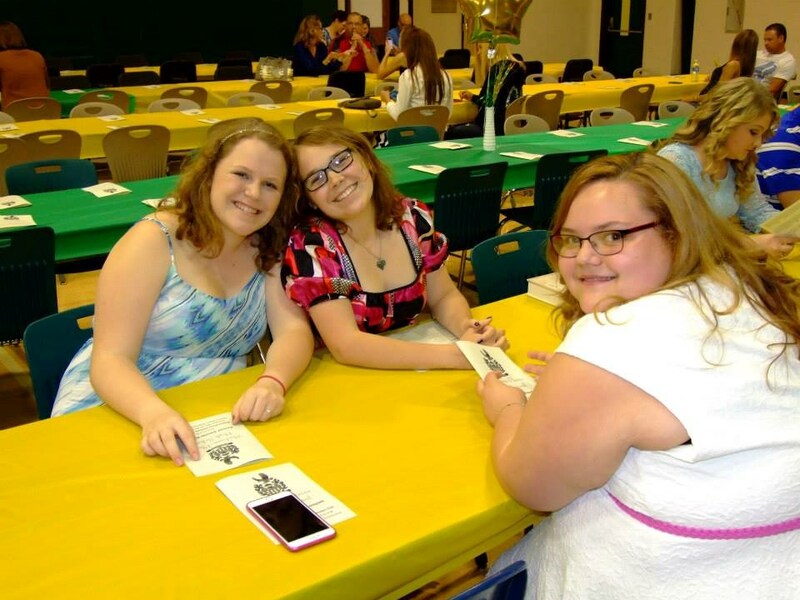 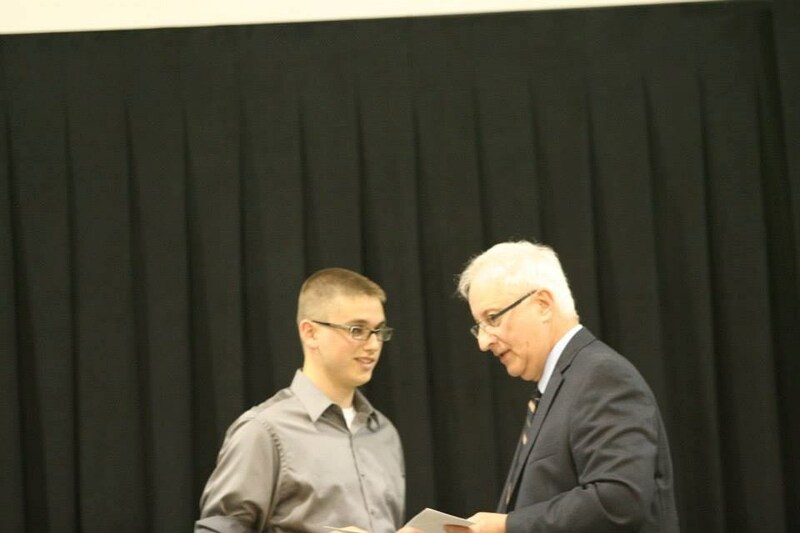 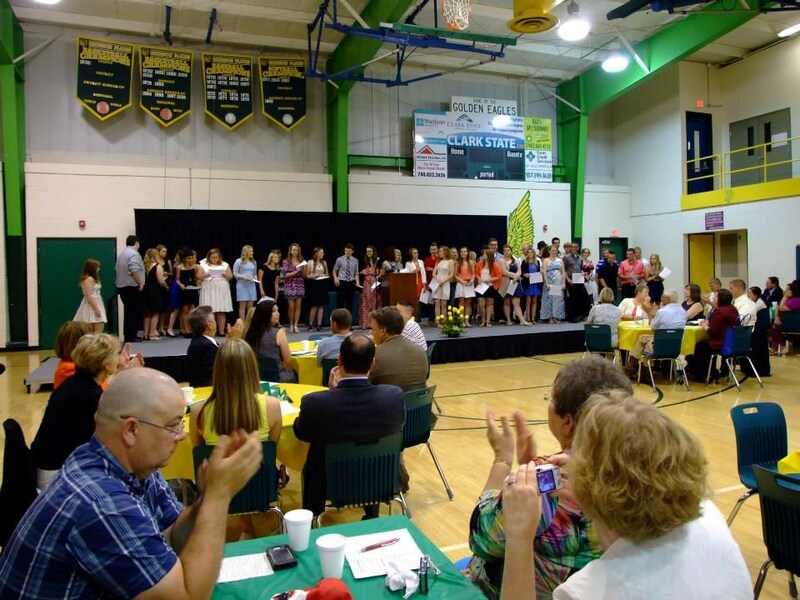 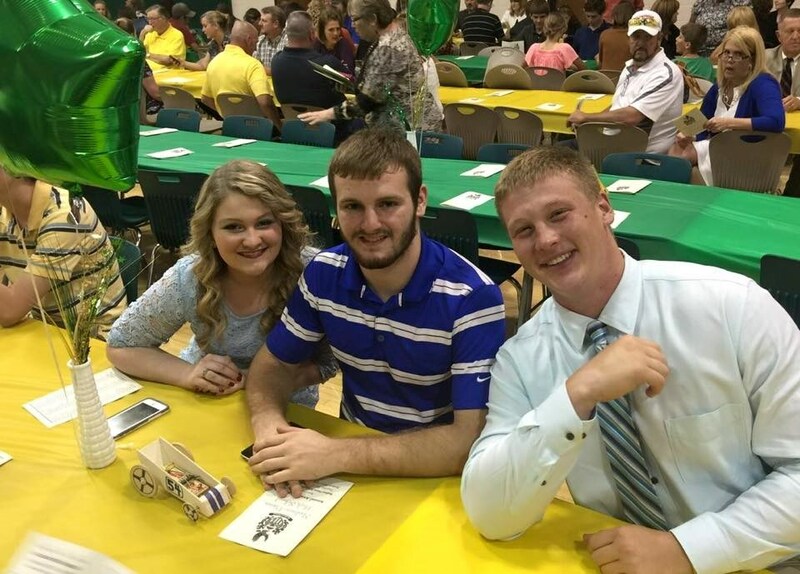 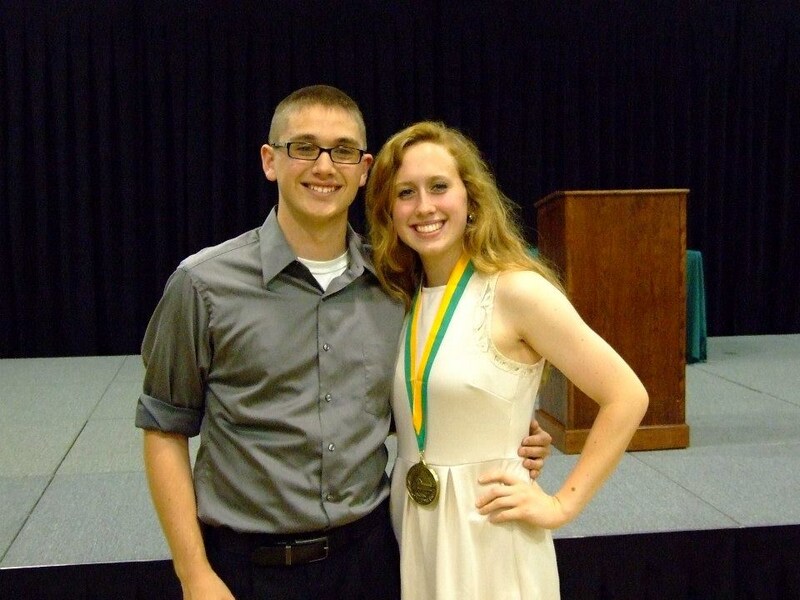 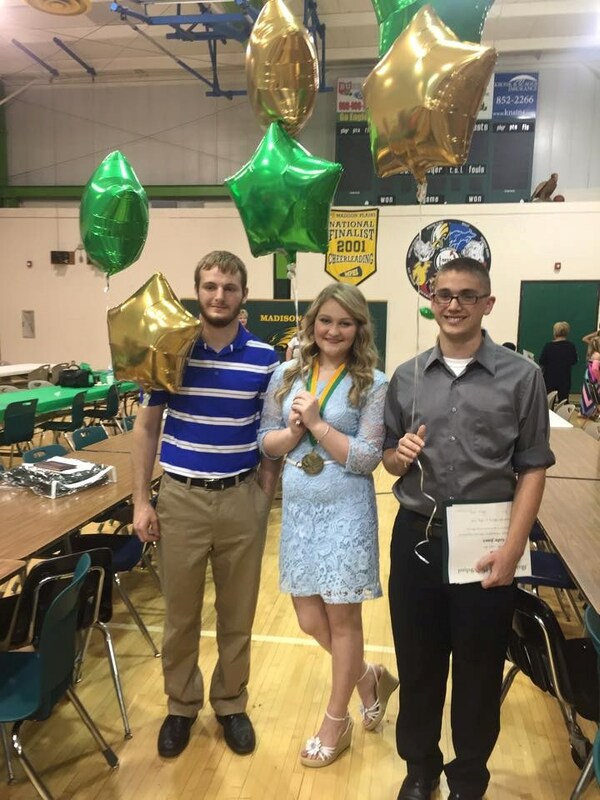 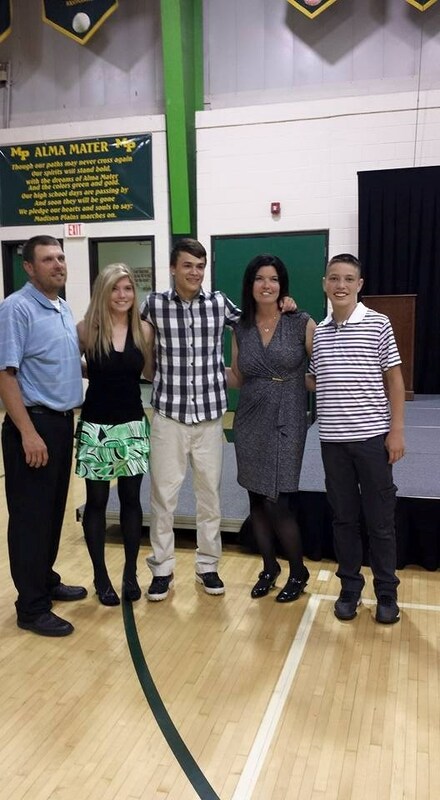 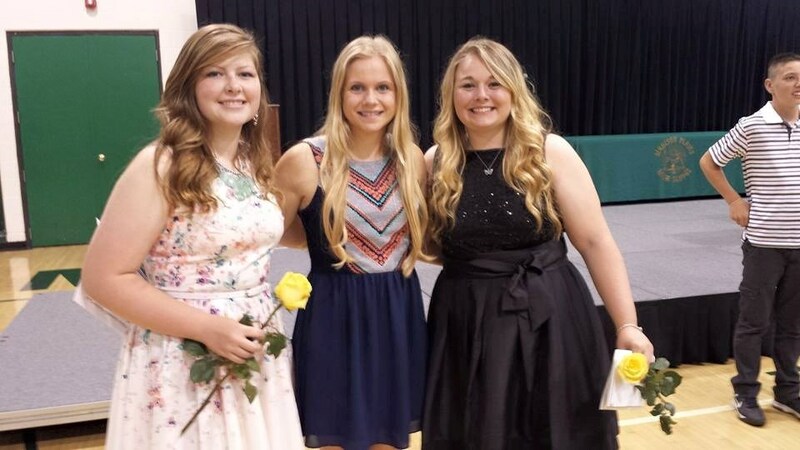 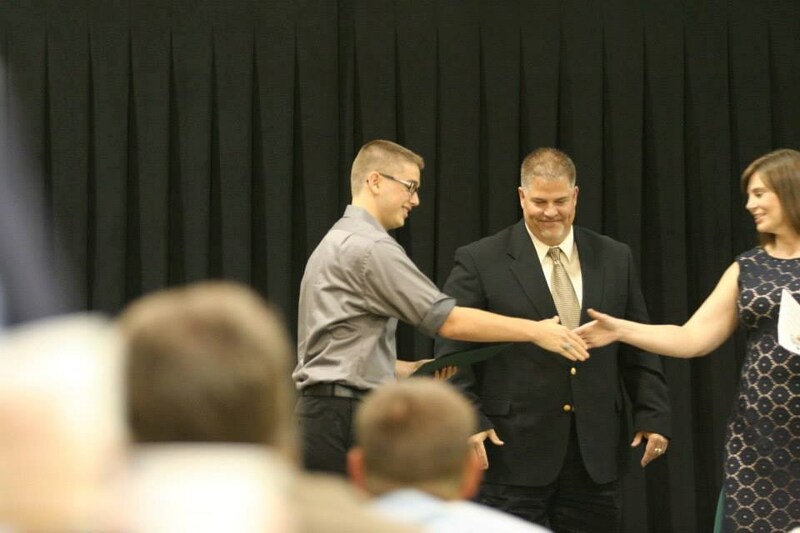 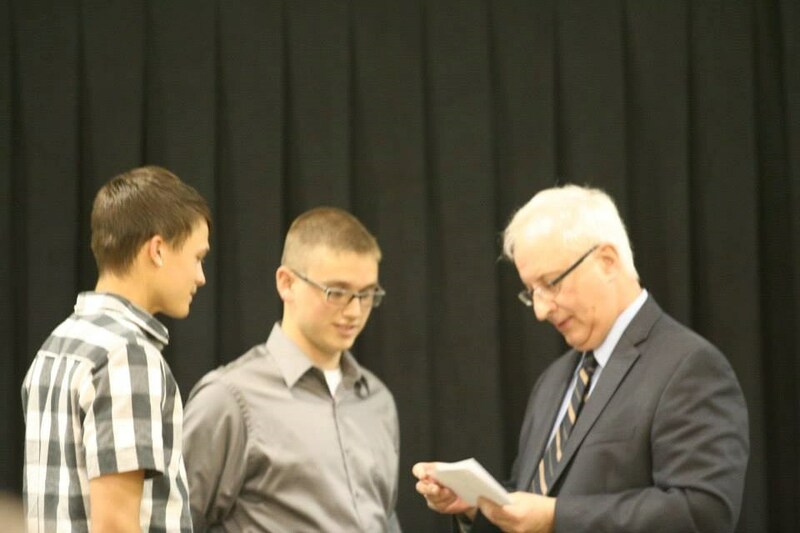 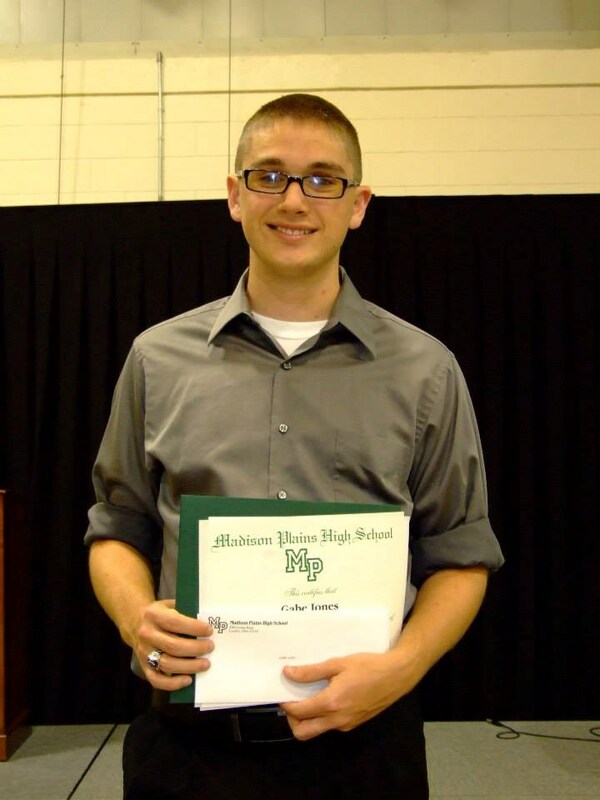 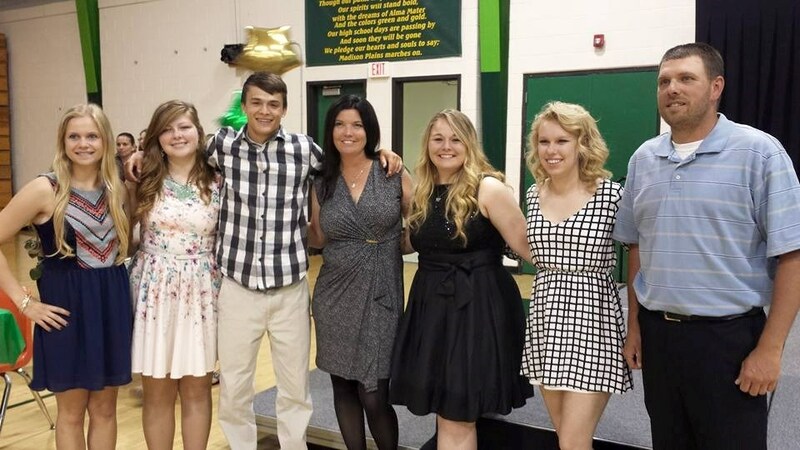 The Madison-Plains Scholastic Boosters hosted its annual awards banquet on May 28. 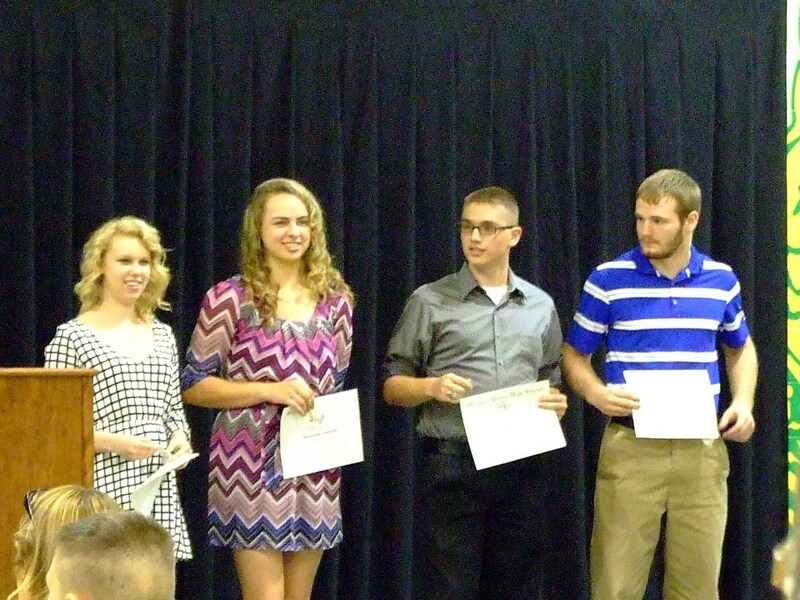 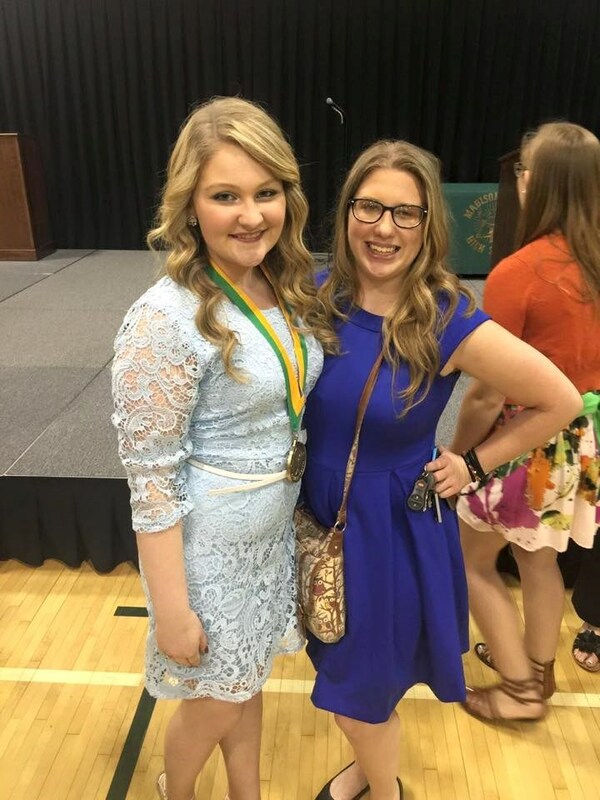 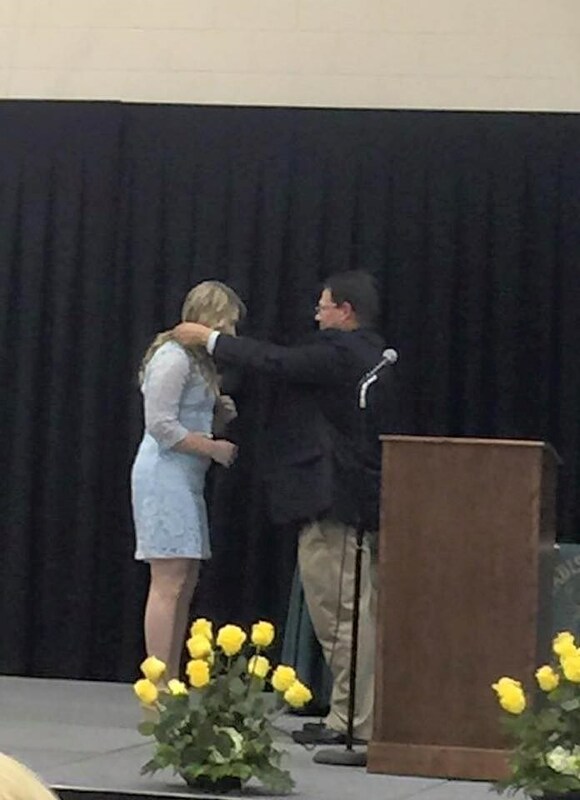 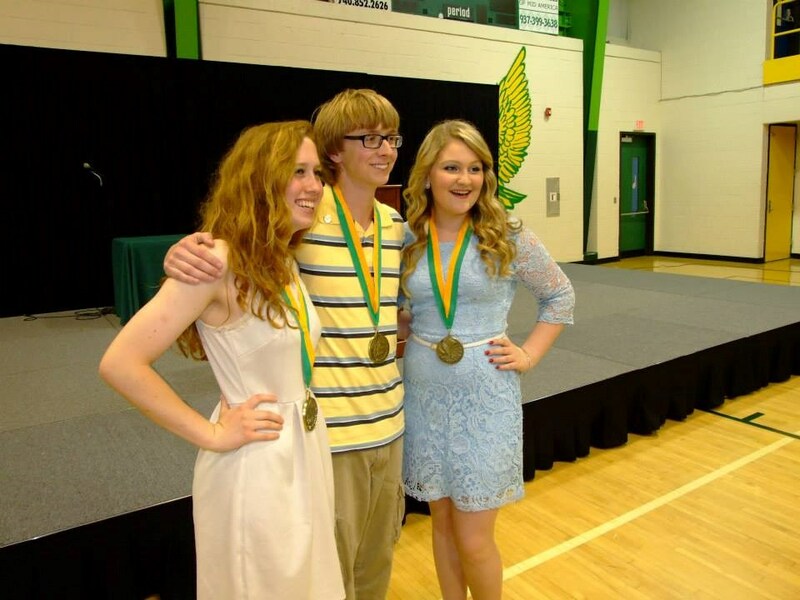 Students were awarded for their academic success. 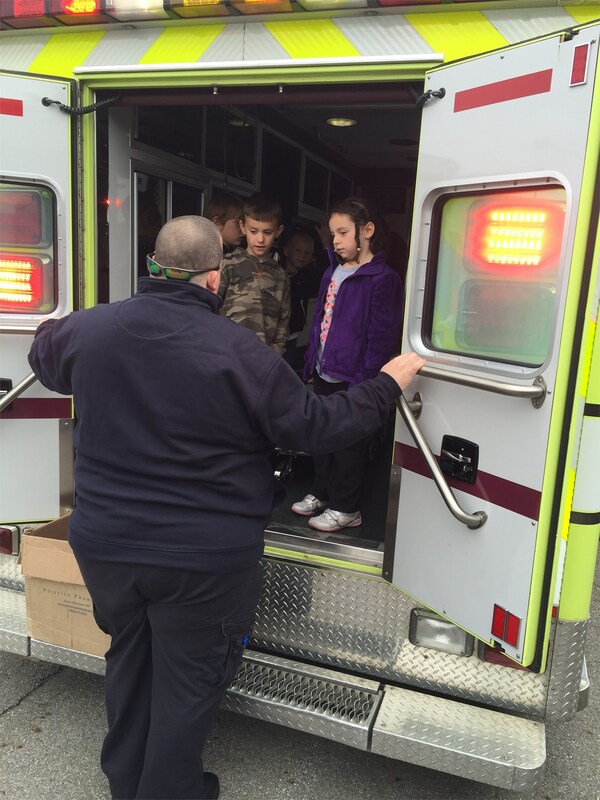 Madison-Plains kindergarteners recently had the chance to peek inside an ambulance and talk to the team about safety. 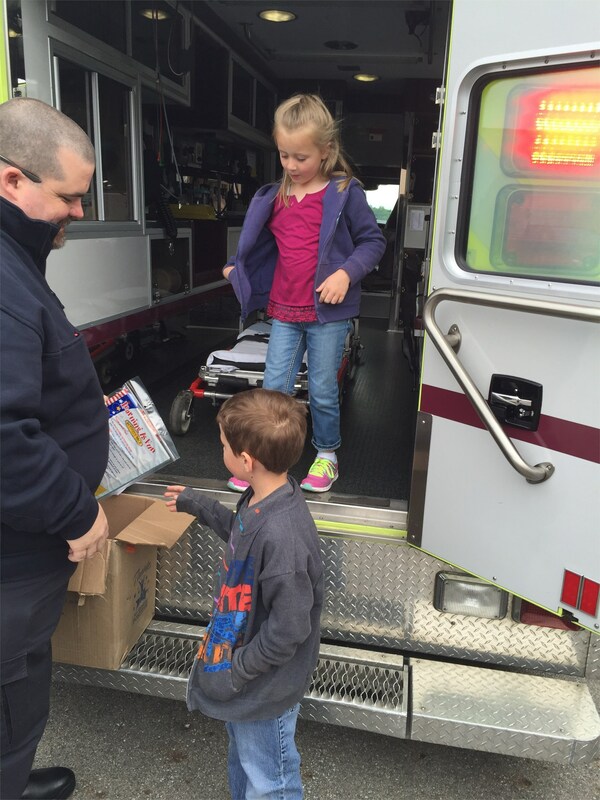 The first responders gave the children booklets to take home about and explained the importance of wearing a helmet when riding bikes and four wheelers. 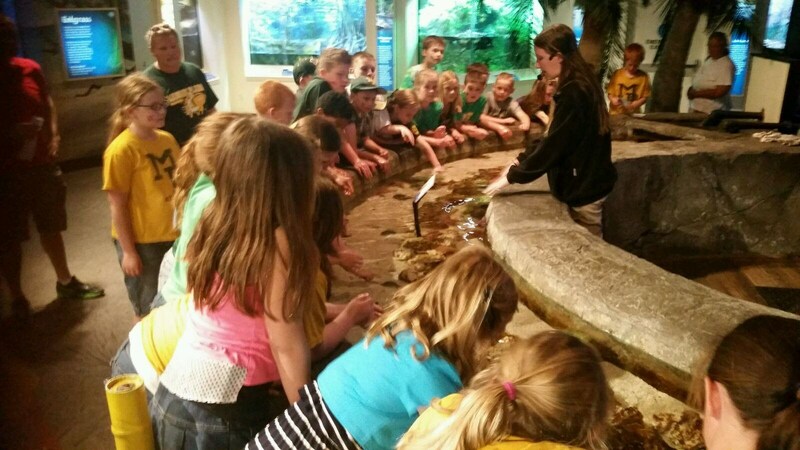 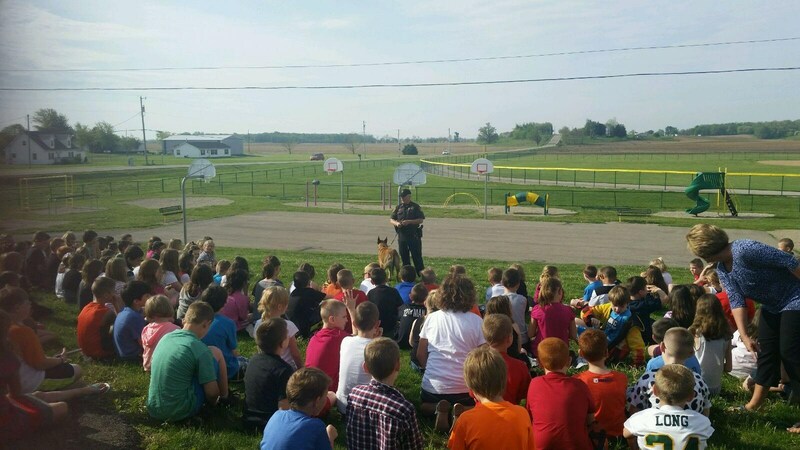 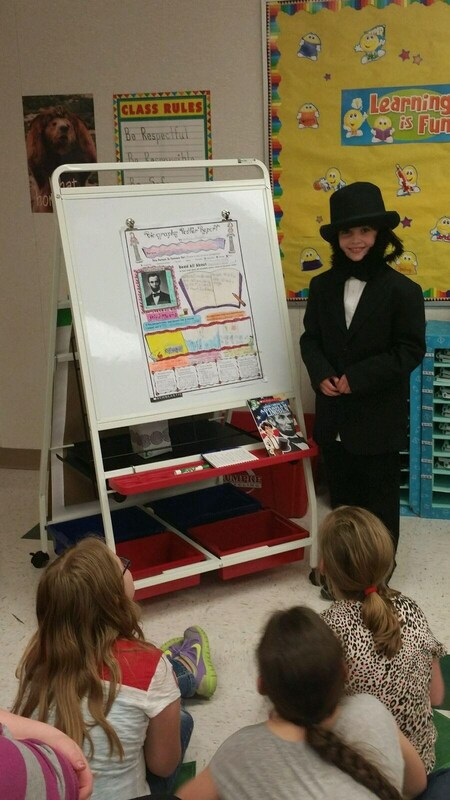 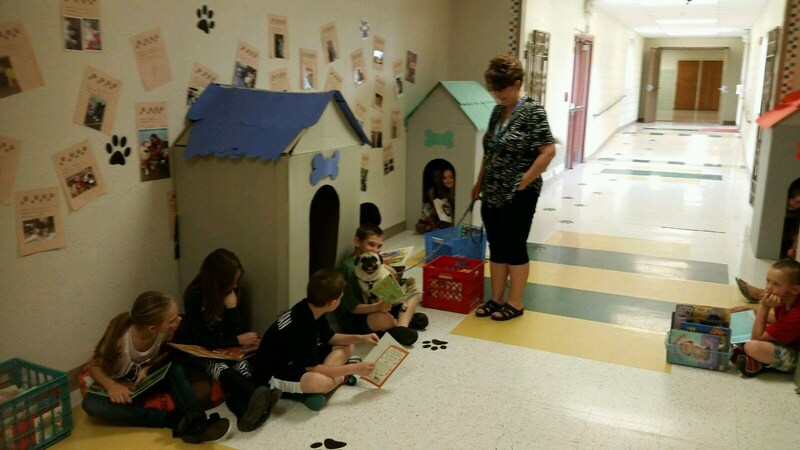 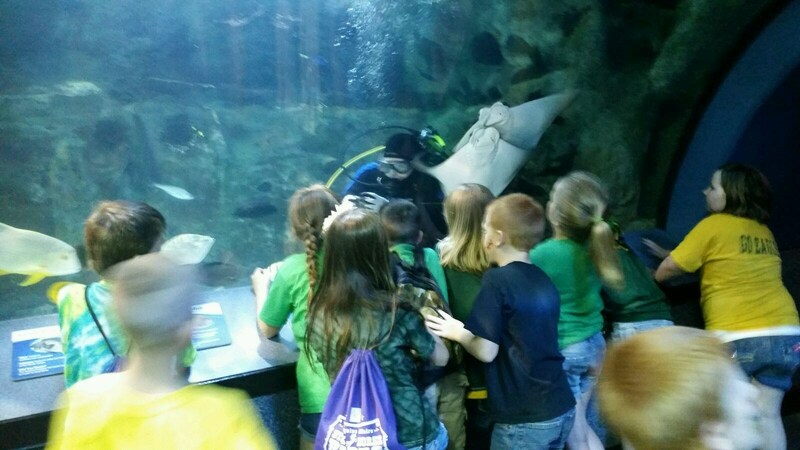 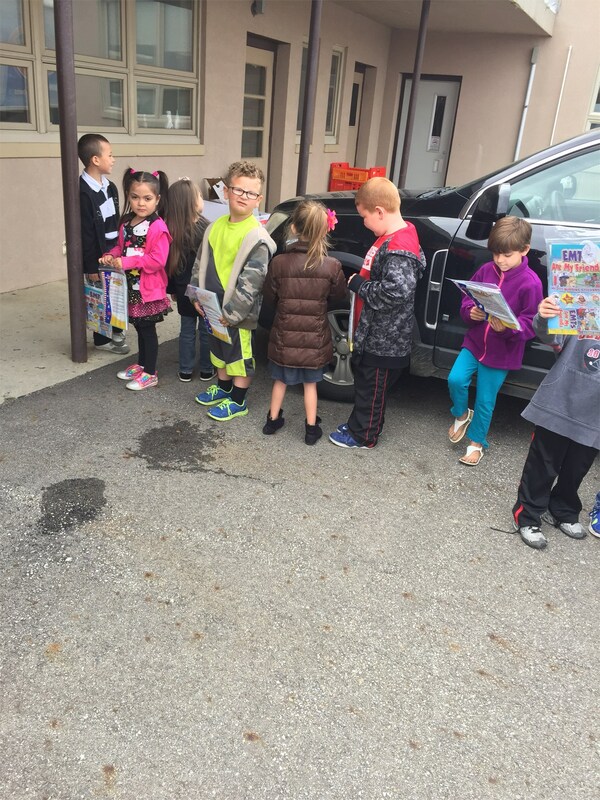 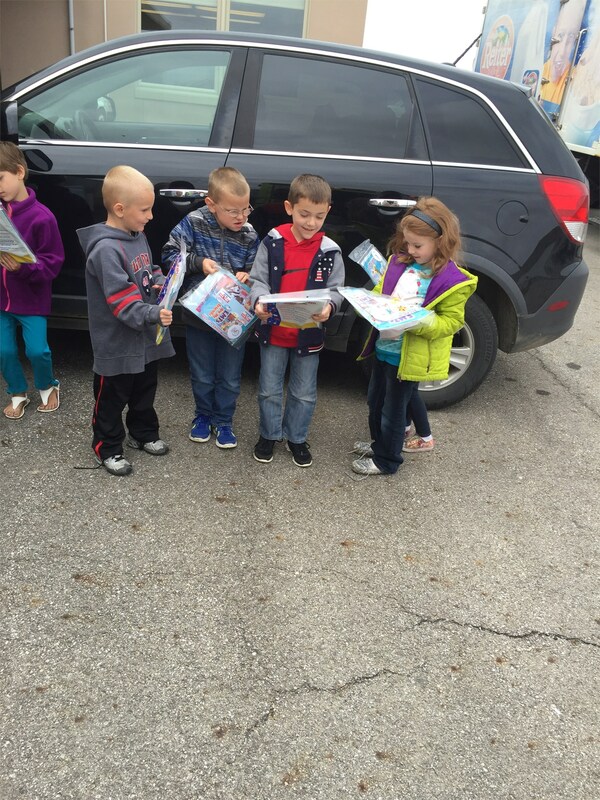 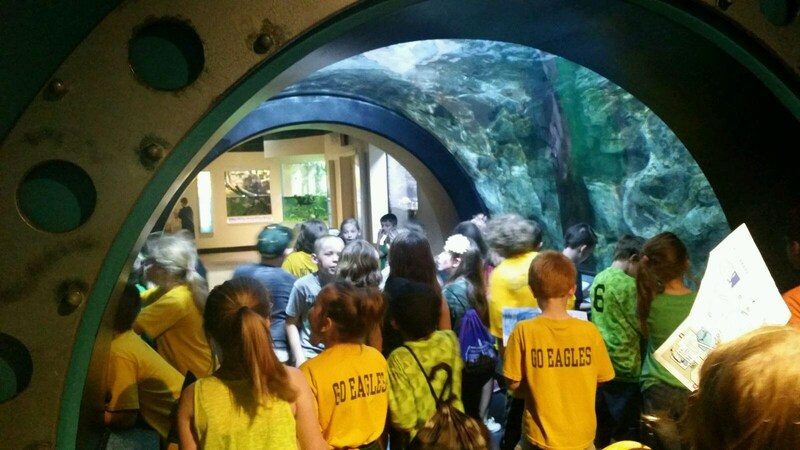 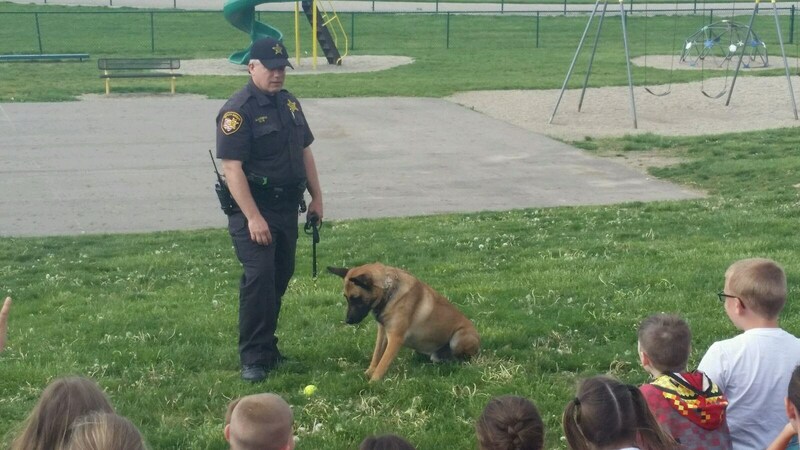 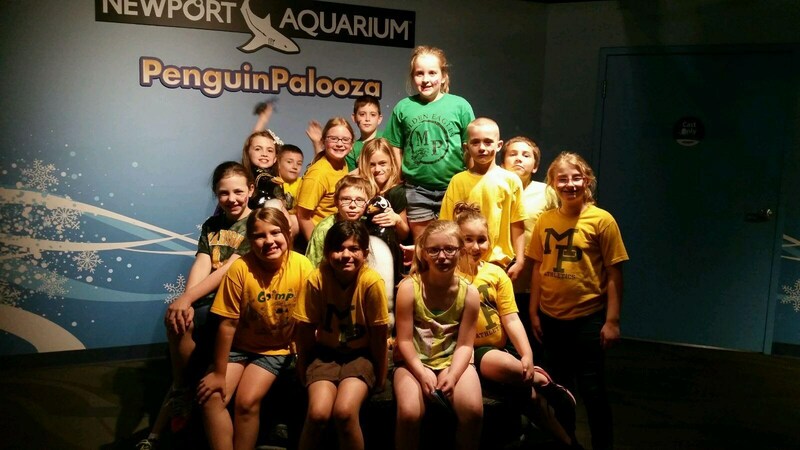 Students at Madison-Plains have been busy this spring with a visit to the Columbus Zoo, a stop at Newport Aquarium in the Cincinnati area and special activities in early May at school for Right to Read Week. 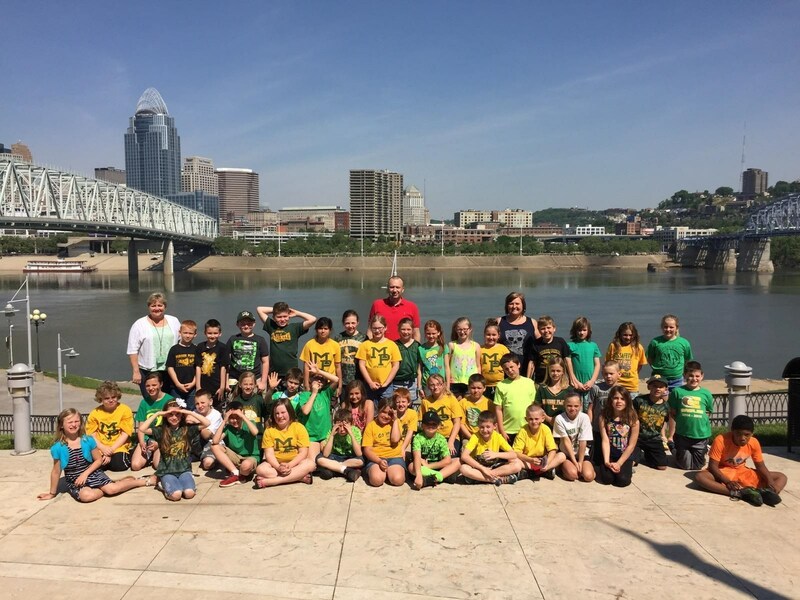 Students from M-P Intermediate and Junior High put their math knowledge to the test during the annual Math Bee on May 5. 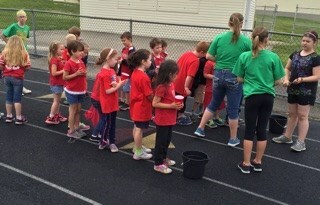 The team competes against West Jeff, Jonathan Alder and Saint Patrick School. 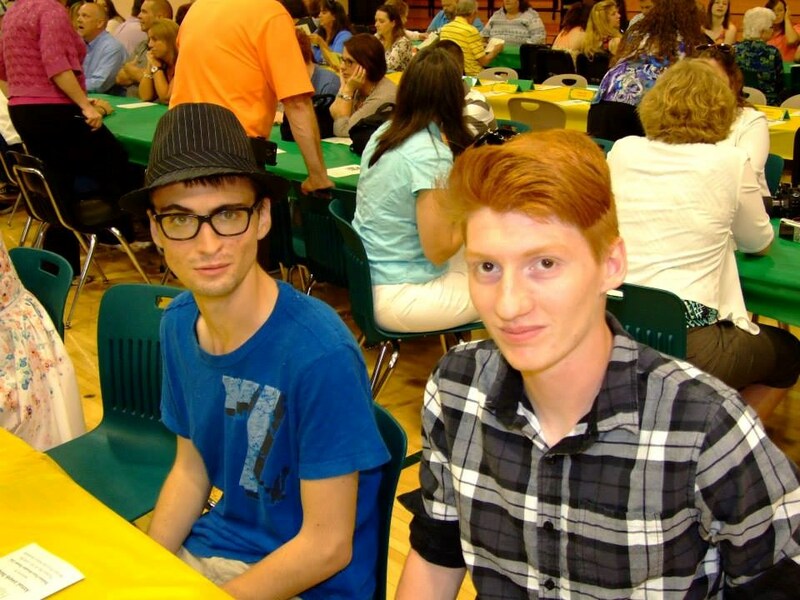 The "Bee" is a written test that covers standards from their perspective grade, and sometimes a grade above as many of the participants are advanced in mathematics. 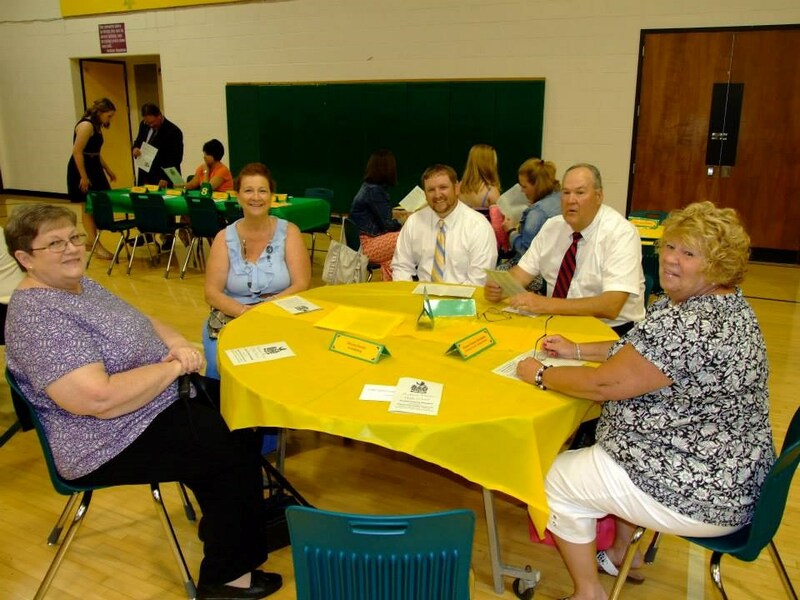 The students have one hour to complete a 21-question test; teachers from all of the schools grade the papers (two teachers per participant) to determine placement in the competition.The students were coached by teacher Stormy Hiram. 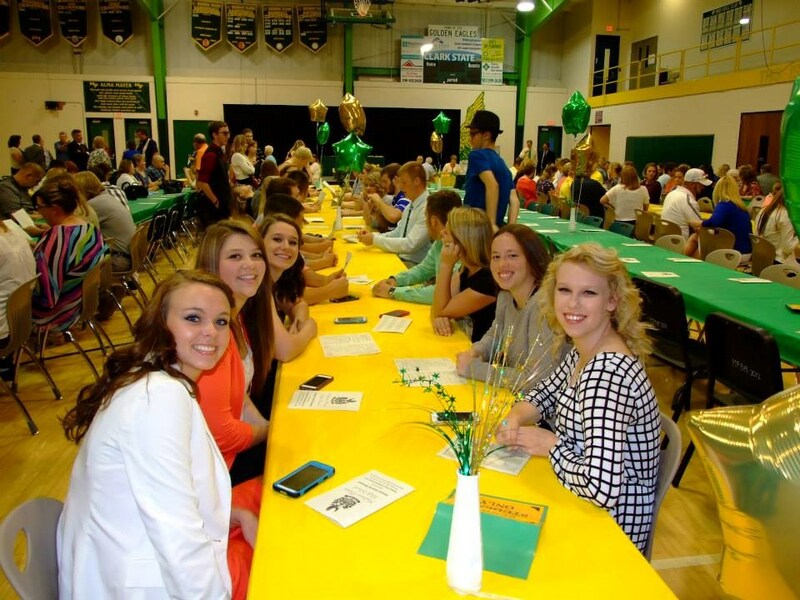 The girls varsity softball is in second place just after the middle of the season with a record of 13-6. 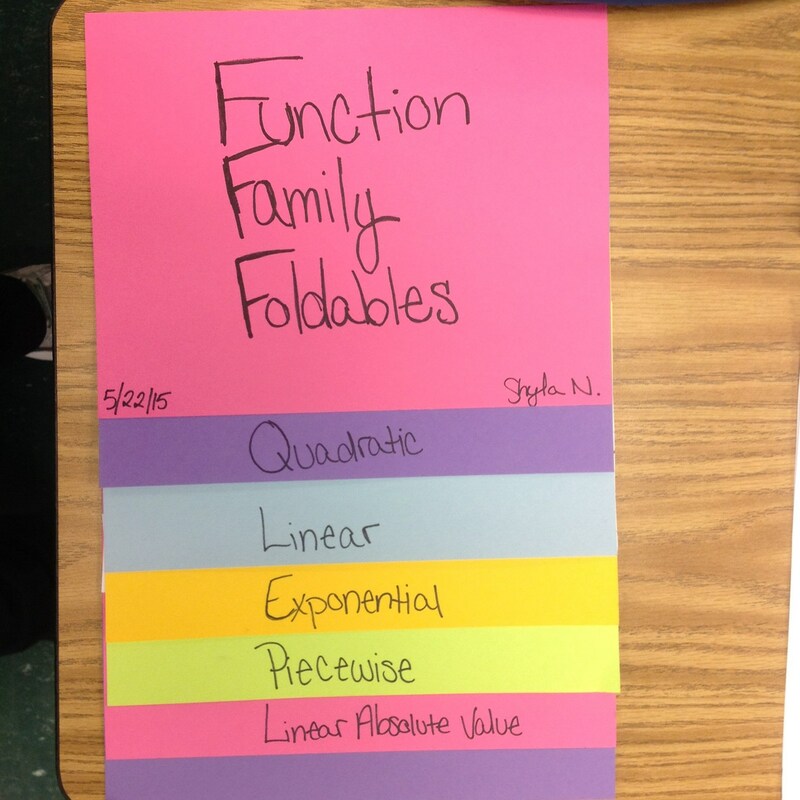 MPJHS teacher Jenny Wethington works with seventh-graders as they solve math problems using proportional relationships with equations. 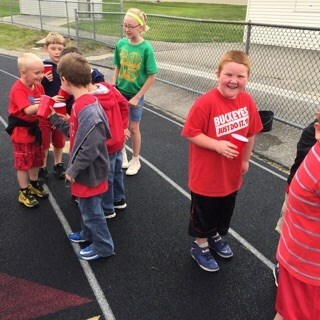 The students were given a sets of data in tabular and line graph form (hours worked and wages earned) and asked to determine the rate per unit (hour) and if the money earned was proportional to time spent. 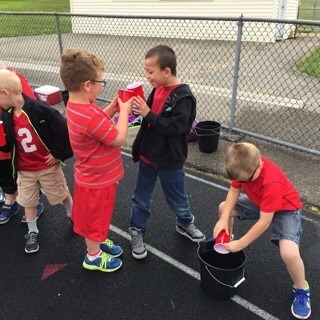 They wrote equations to show the relationship between each person earning money and to identify a constant of proportionality (the value that relates the two amounts). 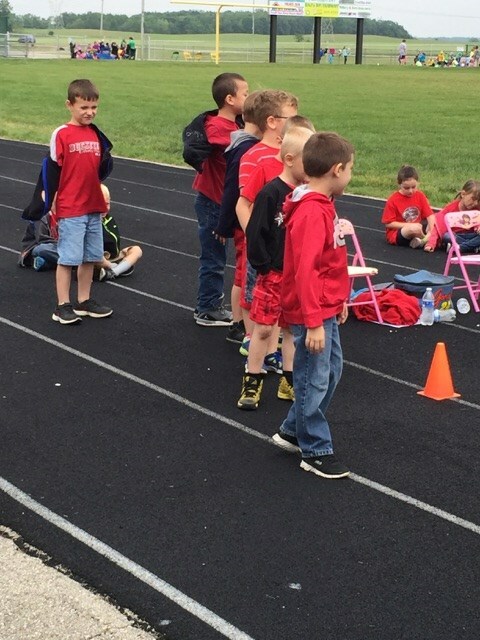 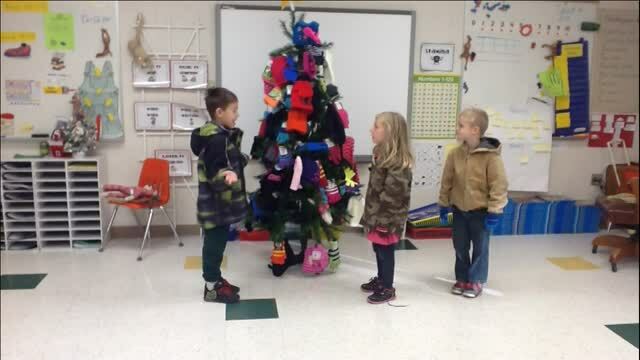 These are just a few examples of how Madison-Plains teachers are working to engage their students and make practical connections to their work so they can excel academically and grow their knowledge as measured by the state's academic content standards. 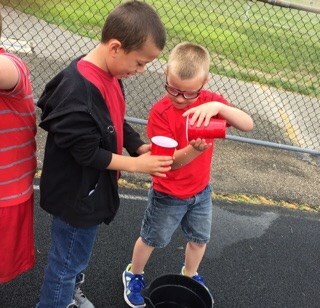 Madison-Plains strives to meet “Excellence in All We Do” so the district can prepare students with the right skills — critical thinking, problem solving, researching, collaborating — to be successful in high school and beyond. 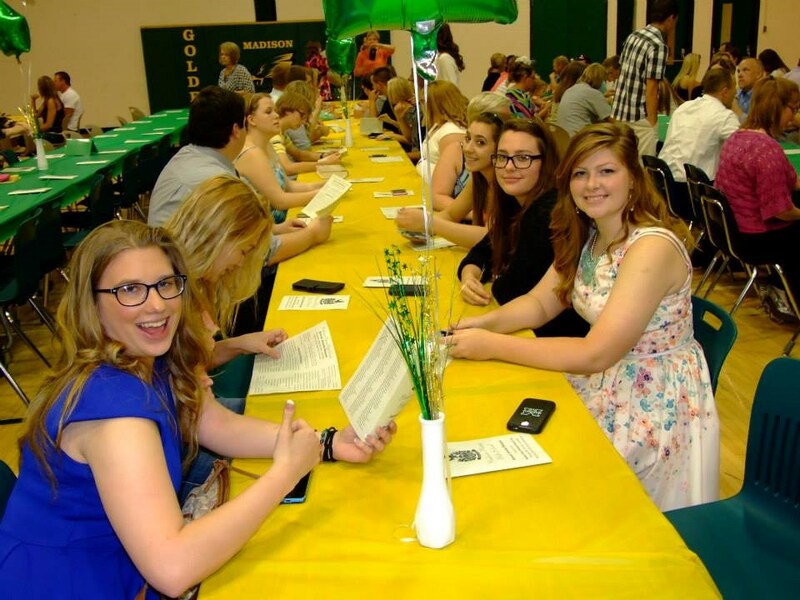 Read these parent tips on success in Grade 7 and these state standards for more details about what students are expected to learn and know by the end of the year.